Une Terre Culturelle: english version - Echange de jeunes "Rethinking-Cooperating-Sharing"
The project under the headline “Rethinking - Cooperating - Sharing” is part of the actions financed by the European Erasmus Plus program and the French-German Youth Office (Ofaj) within the context of the 100th anniversary of the end of World War I. The aim of the French-German institution launched on termination of WWI was to facilitate the reconciliation of and to promote durable peacebuilding activities between the conflict-affected nations torn apart for decades. 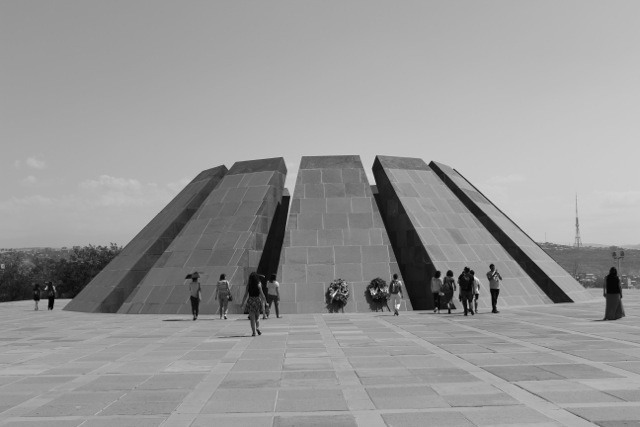 It has become a habit for Ofaj to finance bilateral and multilateral French-German projects since history constantly repeats itself, and the interrelated histories of Armenia, France, Germany, and Turkey are no exception to this rule. They are riddled with a lot of conflicts and troubles that are still actual nowadays. These national and political visions give a negative image to the “Others”. And this is also due to the poor or missing direct communication and relations between the bearers of different cultures. And it seems that the situation is not going to improve in the near future. Actually, we live in a period when our societies tend to isolate, and nationalistic thoughts and ideologies are spreading at a high speed. This is predominantly why it was vital for young students and volunteers from the mentioned four countries to meet with the common objective of overcoming this deplorable situation and establishing sound communication and cooperation between young people of these countries. The idea was not only to evoke and rethink together on historical facts often perceived differently across countries, but also to develop new relations and perspectives among the young people for a better future together. For this purpose, the six young people from each country and their teamers used simple methods generated within the Ofaj-supported projects in the course of over 55 years to deal with narratives and history dispassionately, to listen to each other, to establish an intercultural dialogue in the atmosphere of mutual respect, to reconsider their way of seeing the “Other” and “History”, to cooperate and develop a common future, and finally, to share their experience with a wider audience. 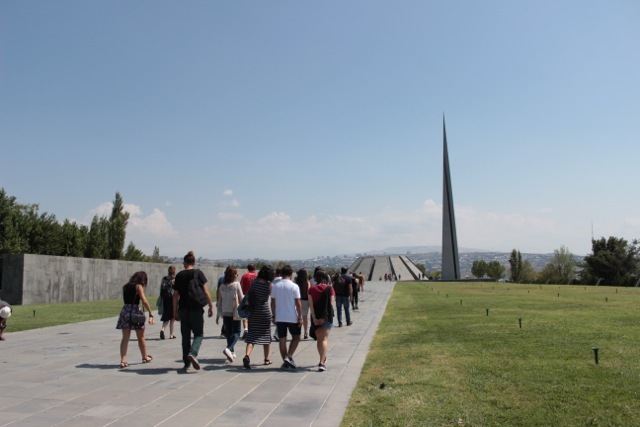 In fact, visiting a place as symbolic and meaningful as the Armenian genocide memorial with young Turks is not an easy thing to do. It cannot just be improvised especially in the context of ever-changing societies and information.